Visited to get front wheel alignment adjusted as the car was pulling to the left. 20minutes later it was all done and now the car travels straight. Only downside is that my 50% off voucher was declined as heat was used to loosen the tie rod but I was not told about this beforehand. This isn’t the worst but would’ve been good to be told this before continuing with work. I visited your low fell branch today and am am delighted to say upon taking advice from your technician I saved money on what work I thought my vehicle required.ie number of tyres needed and advice on when to return for further inspection. Friday afternoon I called into the low fell branch. I had just bought a 16 month old Mercedes B-class and after 2 days I noticed there was a slight wobble on the steering wheel when traveling above 60MPH I called into this branch to ask advice. The guy behind the counter said it would be my 2 front wheels and advised getting them balanced. While I was in the branch I had a search online for a discount code for wheel alignment which was also carried out. After giving the guy behind the counter my car keys he immediately brought my car in and did the work himself. Not only did he complete the work in 45 minutes he fully explained what he had done and what adjustments he had made. My journey home took me on a motorway which gave me the opportunity to travel above 60MPH and I have to say it was a different car. Well done to the fitter Jonathon Pritchard he is a credit to national tyres. Very helpful staff, quick efficient service and they explained everything they did. Fast efficient service, friendly staff, good price for work carried out and confidence in workmanship. Honest reliable sevice. Very hard to find these days, especially when dealing with the motor trade. hassle free. friendly service and will use the garage again. Staff were very helpfull and polite. Friendly, speedy, efficient service. And a half-price MOT offer! had cause to visit local branch on two separate occasions over past few weeks with tyre problems and each time received a first class service. Very professional service. Prompt, efficient. Friendly. Quick. Thoughtful. No nonsense. Good value. I have used their service a few times and have always received polite, friendly and timely service. Speed of service and being open 7 days a week. Saw to my tyre problem promptly, and fixed it. 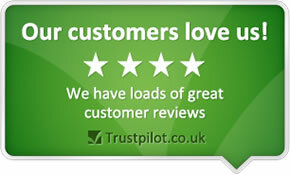 Excellent customer service and quality of work undertaken. 1st class sevice given Branch Manager (Jeff) went out of his way on many counts to be helpfull He is a asset to your company. Well done to him. professional staff very friendly and knowledgable.Tyres not at branch but could be sourced and delivered same day.Tyres arrived and fitted at agreed time. Excellent service all round. Will use this branch again. It was quick and efficient, staff already had my details. I have contacted this branch over many years for tyres, MOT's, services etc. At the present time and my family have 3 cars that visit the branch for the above. The staff have always been very polite and helpful.